As a leading medical research institution, University of Southern California is home to hundreds of prominent scientists making advances in the field of neurology every day. To this end, USC Health Sciences Campus has received a $50M endowment from philanthropists and Silicon Valley venture capitalists Mark and Mary Stevens. The newly named USC Mark and Mary Stevens Neuroimaging and Informatics Institute will work toward studying traumatic brain injury, Alzheimer’s and a host of other brain-related conditions. 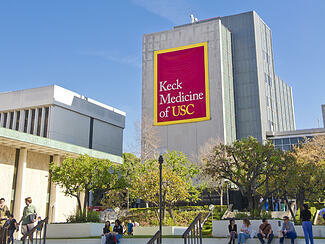 The institute is located at the Keck School of Medicine of USC on the Health Sciences Campus and will work with faculty in biology, genetics, biostatistics, computer science, mathematics, pharmacology and numerous other disciplines. "Our family's gift to permanently endow the USC Mark and Mary Stevens Neuroimaging and Informatics Institute will serve to further the university's leadership position in the medical sciences in the coming decades," Mark Stevens said in a written statement. "The field of neuroscience represents the next great frontier of medical research in the 21st century. Consequently, we believe that the tremendously talented team and the interdisciplinary nature of the institute's work will yield meaningful understanding of this frontier in the future." “We hope that our transformative gift will enable researchers and clinicians at USC and throughout the world to expand the understanding of the human brain to enable new ways to treat, prevent and cure brain disorders such as Alzheimer’s, autism, traumatic brain injury and childhood-learning challenges,” said Mary Stevens. The Stevens’ donation represents a major contribution to USC’s $6 billion Campaign for the University of Southern California, which already raised more than $4 billion to advance USC’s academic priorities and expand its positive impact on the community and the world. In addition to this sizable donation, researchers at USC receive substantial funding from several private and public organizations to further their important research in the fields of neurology, pediatrics, oncology, and a host of other medical disciplines. Medical science projects and studies claimed more than 50% of the school’s overall research spending. Last year, the University of Southern California received a $50 million gift from retired orthopedic spinal surgeon, Gary K. Michelson, to fund the USC Michelson Center for Convergent Bioscience. Researchers at the University of Southern California recently received $10.3 million in life science funding to help support the Southern California Clinical and Translational Science Institute. USC’s 2012 Life Science R & D Expenditures: $361,149,000. In 2014, USC received 387 grants from the National Institutes of Health, worth $183,514,714. With hundreds of millions in R&D dollars every year, USC scientists are spending more than ever on lab supplies. 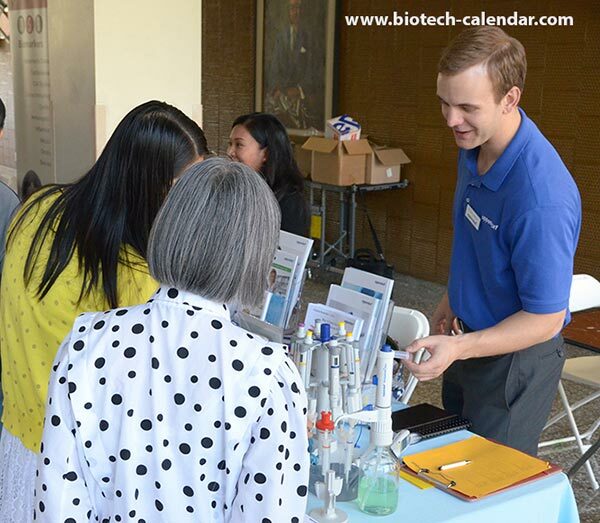 That is why over 400 active USC researchers from more than 20 departments will be attending Biotechnology Calendar, Inc. events at USC this year - to look for the latest in laboratory equipment and lab supplies. Lab vendors interested in promoting new biotechnology in the lucrative USC research market will definitely be attending the 13th Semiannual BioResearch Product Faire™ Event at USC Health Science Campus on November 4, 2015. This is the best laboratory equipment event held at USC in the industry, attended by hundreds of active researchers at a top-funded research facility.